At the heart of CLSA’s business is our charitable foundation. The Trust provides financial and human capital to support disadvantaged individuals, groups and communities across Asia and beyond. Established in honour of our two founding chairmen, the CLSA Chairman’s Trust brings together our staff and communities across the globe. Since 2007, through the Trust, CLSA has provided ideas, human resources and funding of over US$27.7 million to support the incredible work of 120 grassroot NGOs. In doing so, we have impacted the lives of over half a million individual across Asia and beyond. Providing our ideas, people and funding. 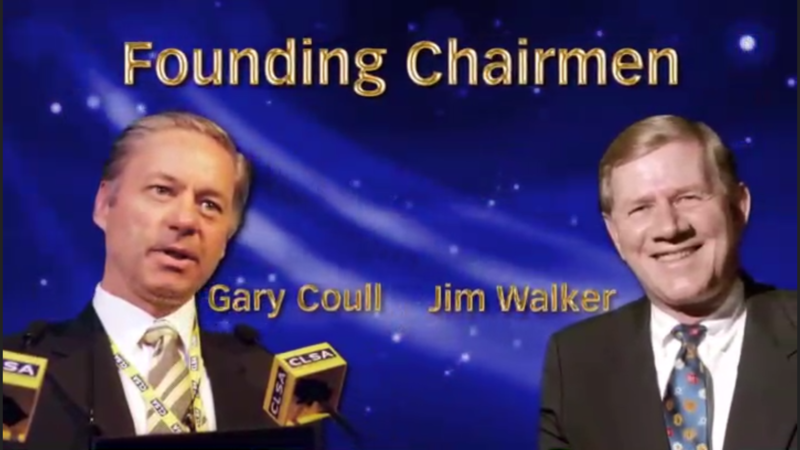 The CLSA Chairman’s Trust Dealing Day is the principle source of revenue for the Trust. Since 2007 our clients have contributed to raising over US$28 million through actively trading with CLSA on the Dealing Day. All net trading commissions from the Dealing Day are contributed to the Chairman’s Trust fund. The Trust’s unique, self-funding model enables annual grants to support measurable and sustainable projects within small-medium sized NGOs. With a mandate of poverty alleviation, the Trust funds education; health and welfare; commercial and environmental enterprises across Asia and beyond. Since 2007, the Chairman’s Trust has touched over half a million lives across Asia and beyond. From Thailand to India, we’ve rebuilt schools following natural disasters, added additional classrooms to teach more children and laid the foundations for new campuses. We help educate children at risk of being trafficked in Cambodia, underprivileged girls in southern Vietnam, and Indigenous students in Australia. Providing higher learning opportunities to orphans in Japan, medical students in Thailand and many others in Indonesia, Vietnam, China and beyond. Funding of lifesaving surgery for orphaned babies in China, rehabilitative procedures for the rural poor in Cambodia, and medical outreach in Laos. We believe in capacity building and long term sustainability. We provide grants to train doctors and surgeons in Cambodia and Laos so they can use their new skills to improve conditions locally. In the Philippines, we’ve partnered with the Ayala Foundation since 2008, providing information and communication technology systems to schools throughout the country. CLSA staff are actively engaged in the grant making process. A unique aspect of the Chairman’s Trust is the Staff Sponsorship programme. All funded projects require a CLSA employee to champion who is responsible for pre-funding due diligence, funding applications, regular reporting and annual project visits. Staff sponsorship is critical to the success of the Trust, ensuring accountability, active social engagement and awareness for those less fortunate. CLSA Chairman’s Trust has funded more than 130 NGOs since 2007. The organisations we fund are very close to our heart and we encourage you to explore the inspirational people and projects that have benefited from our funding. Improving quality of life for physically disabled children and adults by providing free medical procedures. Helping disadvantaged youth aspire to a better life by providing support for higher education. Providing education, healthcare and sporting opportunities to disadvantaged children. Developing sustainable services for deafblind people and their families in Jharkhand, India. Since 2007, the Chairman’s Trust has supported more than 130 NGOs across Asia and beyond. The below list is a reflection of current and past charity beneficiaries.